Claims of fraud and breach of warranty are common following the purchase of a business. They often mix tort and breach of contract and may involve specialist aspects such as notification provisions and escrow mechanisms. Fraud and Breach of Warranty: Buyers' Claims' and Sellers' Defences provides a practitioner's guide to these claims from a leading commercial QC with great experience in this field. 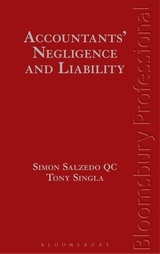 Simon Salzedo QC is a Barrister at Brick Court Chambers.